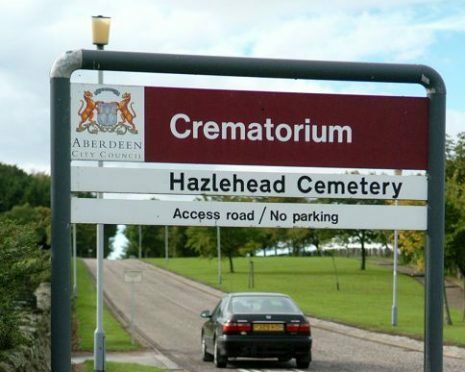 Failings at Aberdeen Crematorium in Hazlehead were highlighted in June following an investigation which criticised the city council. It emerged that ashes of unrelated adults and infants had been routinely mixed and baby ashes often not returned to parents. The meetings, being held in the function suite of the cafe in Hazlehead Park, will be chaired by John Birrell from Cruse Bereavement Care Scotland, who was a member of the Infant Cremation Commission. Mr Birrell said: “These meetings will discuss the initial steps in setting up a lasting memorial, and will discuss issues such as what type of memorial people would like and where it should be placed. Anyone affected wanting to attend one of the three dates should contact Bereavement Services on 01224 522485 or email burials@aberdeencity.gov.uk so numbers can be ascertained for catering purposes. They are at 6.30pm for 7pm start on Tuesday, January 17 and 10.30am for 11am start or 1.30pm for 2pm start on Saturday, January 21.